Getting New Tires In Huntington Beach? There are so many tire choices in the Huntington Beach, Garden Grove, and Costa Mesa area, selecting the right one can be a bit overwhelming for Fountain Valley motorists. And even though it’s kind of fun to have new tires on your sedan, they’re a significant investment for most Fountain Valley folks so you want do it right. Tip: talk with your friendly Beach Benz tire professional. He’ll help you sort through the choices. Here are some of the important issues you’ll talk about: One is size – you know, all those numbers on the side of the tire. The right size is essential. All new vehicles are required to have stability control which, along with other important safety systems, is calibrated to work with specific tire sizes. Your Huntington Beach tire professional can help stay within auto manufacturers’ specifications or program a different tire size into your sedan’s computer. And you’ll want to discuss how and where you drive in Fountain Valley to determine the type of tire you need: summer, winter, all season tires or all-terrain. There are tires for every Huntington Beach auto owner’s needs. Like we said, tires are a big investment, so you want to get a good value on tires. Now that doesn’t always mean the cheapest tire. A top tier tire from Beach Benz will last a long time and give Huntington Beach drivers good performance throughout its life. Tires sold in Huntington Beach bargain tire shops may not live up to that promise. Again, your friendly Beach Benz tire professional can give you options that offer the best long-term value within your immediate budget. Last, with a 2-wheel drive vehicle, it’s important to always replace both tires on an axle. Modern sensors and computer safety systems for sedan brakes, stability and traction control need both tires to have the same amount of wear to work properly. And always put the new tires on the rear so you don’t fishtail in a turn. With all-wheel drive you should replace all four tires at the same time. Schedule a tire inspection at Beach Benz to see how much life is left in your sedan tires and seek the help of a professional when choosing new shoes for your vehicle. Today’s tires and wheels offer a lot of options for every Huntington Beach driver’s style, habits and driving conditions. Tires are designed for high-performance in winter or summer and even come in a long-wearing variety for all California seasons. Huntington Beach off-roaders should be excited about the options available to them as well. The tread on off-road tires is designed to handle the wear from bumps and rocks. The tires’ high profile protects rims from damage. But what if you own an SUV but aren’t interested in off-roading around Huntington Beach? You can change out those high-profile beasts for a lower, wider look if it suits your style. Beach Benz tire professionals can offer great auto advice on how to choose tires that match your needs and style. The same goes for wheels. When Huntington Beach auto owners shop for new wheels, they can be hard-pressed to make a selection from the thousands of styles available at California tire stores. If they choose a wheel that is the same size as the ones that came with their vehicle, they can get them changed out and get back on the road, no worries. But if they change the wheel size, then they may need to make some critical adjustments to their vehicle. Upsizing a wheel may mean changing the suspension on the sedan. The wheel and tire need to fit inside the wheel well without any rubbing during turns or when driving over bumps. Rubbing can cause uneven tire wear and even damage the tires or cause safety issues. So if you want to customize your sedan with new wheels, you should consult with a wheel and tire professional at Beach Benz in Huntington Beach to ensure you get the style you want without sacrificing safety or performance — and without damaging your vehicle. If you just need to purchase new tires, a tire professional can also help you select the tires that are best for your driving needs and habits. The right tires will protect you and your sedan on the road. So personalize your vehicle, but don’t forget that good car care will keep that sassy ride on the road in Huntington Beach a lot longer. Taking care of our tires is a vital part of car care for Huntington Beach drivers. We know they have to be replaced when they wear out, but tires also require some essential preventive maintenance. This maintenance will improve fuel economy and extend the life of the tires, so it’s well worth the effort and expense for Huntington Beach auto owners to get it done. Tire maintenance includes keeping tires properly inflated, rotating tires and balancing wheels. The recommended tire pressure for a vehicle’s tires is printed on a sticker on the inside of the driver’s side doorjamb. A lot of engineering goes into calculating the correct pressure, so it’s a key number for Huntington Beach auto owners to know. Not following this recommendation can throw off the suspension system and can lead to costly tire damage. Underinflated tires wear out more quickly than properly inflated tires. Vehicles also get better traction, handling and fuel efficiency on properly inflated tires. Check your tire pressure at least once a week and add air if necessary. What kind of rotation do you need? Check your owner’s manual or talk to your friendly Beach Benz service advisor. Your owner’s manual will have information about how to rotate your vehicle’s tires as well as letting you know how often you should get it done. For most vehicles, that’s usually every 5,000 miles. Your friendly Beach Benz technician can also offer auto advice about tire rotation. A quick tire inspection can also indicate whether or not your tires are due to be rotated. When it comes to tire maintenance for Huntington Beach auto owners, wheel balancing is usually what we know least about. Balancing a wheel is necessary to keep it in constant contact with the road. If a tire is not balanced properly, it actually hops along the roadway. You can feel this hopping as a vibration in your steering wheel if the unbalanced tire is a front tire. You’ll feel the vibration through your seat if a rear tire is unbalance. Properly balancing your tires is important and will extend their life span, improve handling and improve the safety of your vehicle. When you replace your tires, the new tires need to be balanced. Never use different sized tires on the same axle of a vehicle. In other words, your front tires need to be the same size and your rear tires need to be the same size. Mixing sizes can lead to some serious handling problems for Huntington Beach motorists. If you have an all-wheel drive or four-wheel drive vehicle all four tires need to be the same size. If your tires are wearing out, you can sometimes make a new tire purchase fit within your budget by only buying two tires at a time. When you do this, the new tires should be installed on the rear of the vehicle. Rear tires are more in need of the traction than your front tires to avoid spinning out on slippery surfaces. If you drive a vehicle around Fountain Valley, you need tires, so Huntington Beach drivers need to know how to care for them. The safety of your sedan can depend on the condition of your tires. Most Fountain Valley motorists know that tires wear out and that the wear has to do with tread depth. Most of us have heard that “bald” tires are dangerous, but most of us picture a tire with no tread at all when we think of a bald tire. And when we take our vehicles in for preventive maintenance, the technician tells us they’re need to be replaced long before all the tread is worn off. Just how much tire tread wear is too much? And how can you tell? Tires are costly and their condition is important to the safe handling of a vehicle, so it’s essential for Fountain Valley motorists to know the answers to these questions. First of all, it’s essential to understand that there may be a legal limit to tread wear. If your tires are worn past this limit, you have to replace them to be in compliance with California auto safety laws. That’s why measuring your tread wear is part of a vehicle safety inspection. In some jurisdictions, tread must be at least 1.6 millimeters or 2/32 of an inch thick. This standard has been in effect since 1968. But this standard has recently been called into question, and some Huntington Beach auto owners are arguing that it be changed. The safety issue that has brought this standard under scrutiny is the ability of a vehicle to stop on a wet surface. When a vehicle has trouble stopping, most Huntington Beach car owners immediately look at the brakes as the source of the problem. But tires are crucial to safe stopping distances because they provide the traction required in a stop. A tire’s contact with the road surface creates traction, which allows for effective braking. On a wet surface, a tire only has traction if it can get to the road’s surface. So tire tread is designed to channel water out from under the tire to allow it to stay in contact with the road. If the tire can’t shift the water, then it starts to “float.” This condition is called hydroplaning. It is very dangerous for Huntington Beach car owners since the vehicle won’t stop no matter how hard the driver presses the brakes. Steering control is also lost. Let’s suppose that you’re on a busy Fountain Valley highway in a light drizzle and a vehicle stops suddenly in front of you. You just bought new tires and you brake hard, missing the vehicle with only inches to spare. If you hadn’t bought those new tires, you would have crashed into that vehicle at 55 mph. That is a major difference. 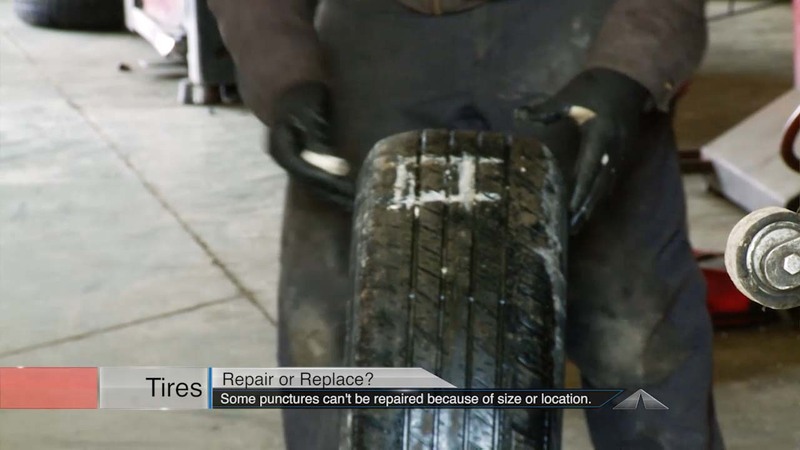 The results of this test has led Consumer Reports and others to ask that the standard for tread wear from 2/32 to 4/32. The increased standard will improve safety on the road and save lives here in California and nationally. You can measure the 2/32 tread wear with a penny. If the tread touches the top of Abe’s head, it’s at 2/32. Tires are an expensive item for Huntington Beach drivers when it comes to car care. But their condition has a major impact on safety. We need to decide whether to sacrifice safety for economy. Keeping our tread wear above 4/32 is good auto advice. Do you ever shop for shoes in one of our Fountain Valley area shoe stores? 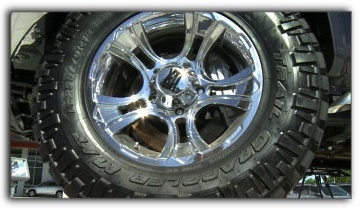 When you choose new tires in Huntington Beach, what’s the most important factor for you? Give us a call at Beach Benz at 714 842-9816 for tire recommendations. You know, buying tires in Huntington Beach is a big deal. It’s a big ticket item so you know you’ll be spending a lot. You’re not only concerned about the price, but you want to know that it’ll be a long time before you need to buy new tires again.